Set up a department specific events calendar to coordinate company meetings, holidays & office functions. 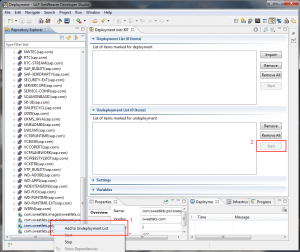 Deploy multiple calendar iViews on the same or different pages ... with the same or different content. Assign custom recipient group / role / user events to keep all your users up to date and current – with respect to their area. Special events alert – Schedule a celebration for everyone to see, or plan ahead for office functions. Have an important event coming up? Need to notify your employees of important dates and no effective way to tell them? Look no further, here is your simple solution! 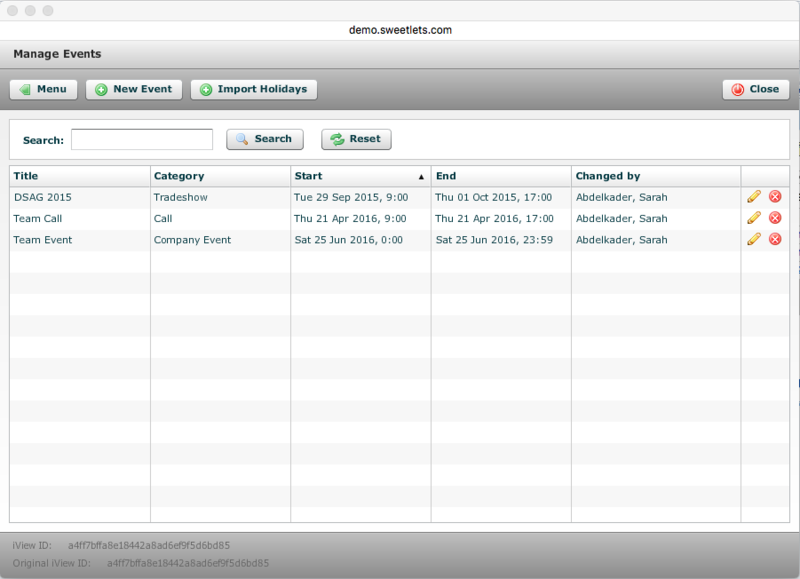 Introducing the effortless Events Calendar by Sweetlets, the ultimate standalone calendar for your SAP NetWeaver Portal. In a few short minutes, broadcast, manage and schedule important dates, details and events so your employees have no reason to miss that special occasion. What does the Events Calendar do for you? With great appreciation we are using the Yahoo! 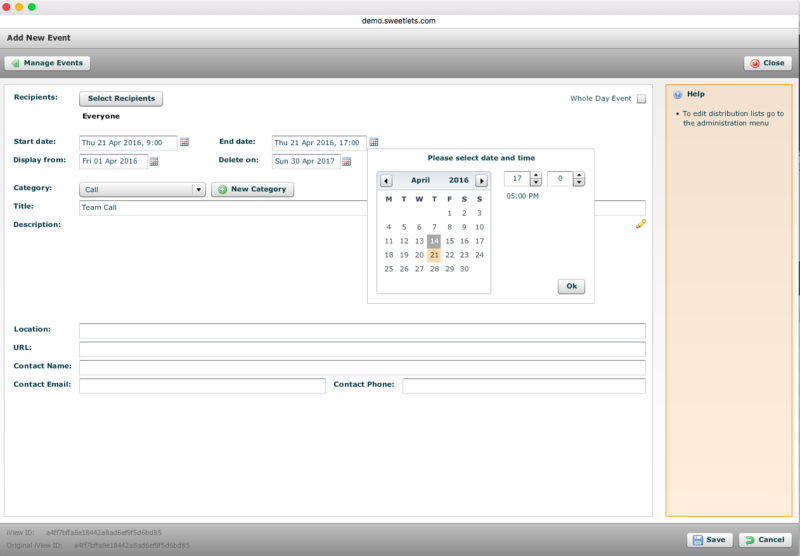 UI Library for displaying the calendar. Pretty and intuitive event management. Enter all the relevant event details. Display detailed information about your events. Select your recipient group from portal roles, groups or users. 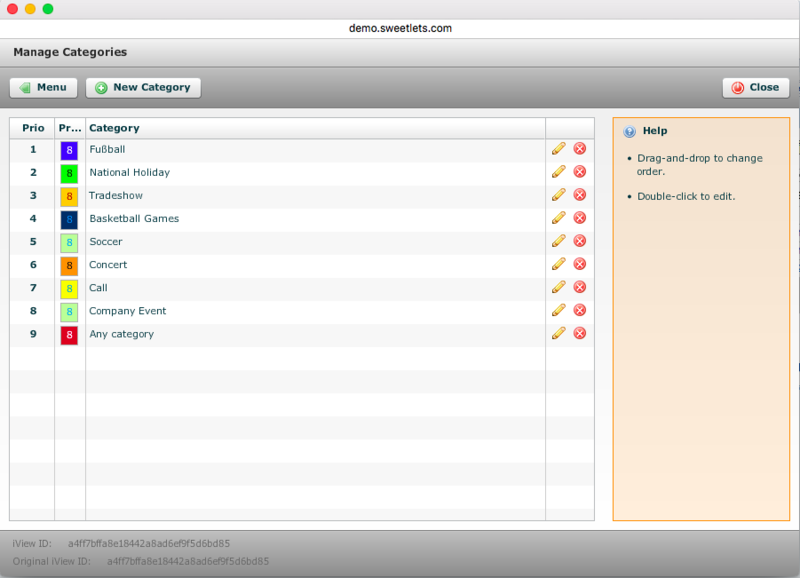 Organize your events in categories. How can I change the appearance styles? The application itself adopts the current portal theme. It mainly uses the table styles. Please do not hesitate to contact us should you require customization. We are more than happy to help you. Please contact support@sweetlets.com for any additional help. How do I add pictures to an event? You just need to have an image URL. (Currently, Events Calendar does not provide an image upload functionality.) Please contact support@sweetlets.com for any additional help. Each calendar iView is a unique instance with its own set of events. 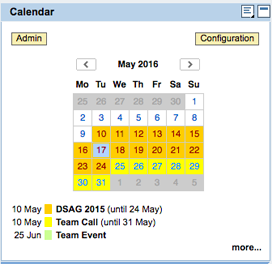 You may deploy multiple instances of Events Calendar throughout your Portal. How to create two identical sets of events in two different places then? 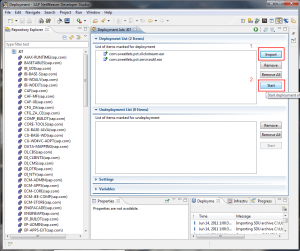 Open administration of source iView. Copy iView ID from the grey bar on the bottom of the administration. Paste iView ID in target iView’s property field. Done. Now the two iViews act like one instance. Please contact support@sweetlets.com for any additional help. How to test drive Events Calendar ? 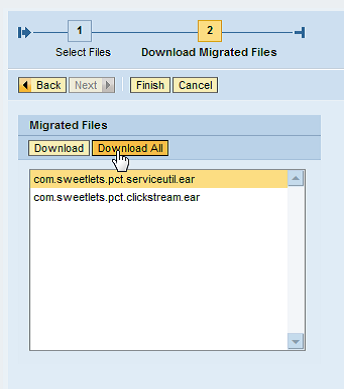 Not yet registered or new to Sweetlets? 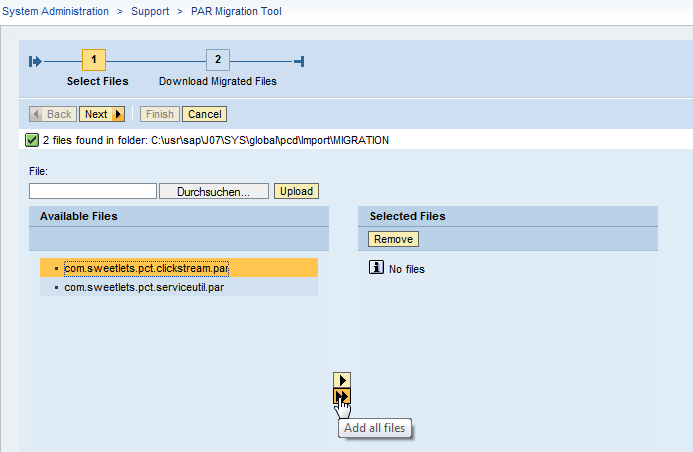 Select the desired EPA and documentation files. 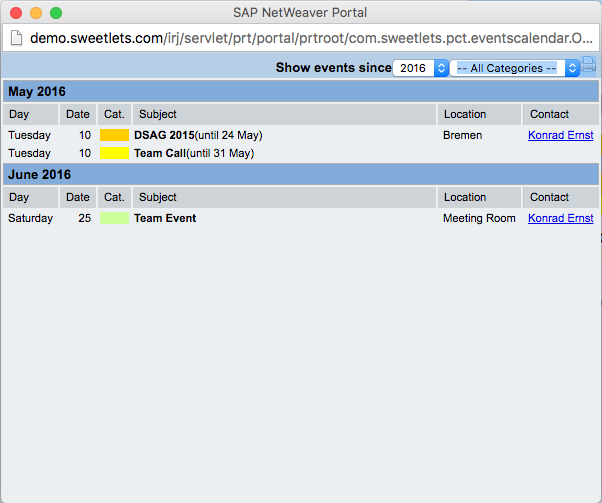 Latest release: 1.0.3 on October 2, 2009 Introducing the effortless Events Calendar by Sweetlets, the ultimate standalone calendar for your SAP NetWeaver Portal. In a few short minutes, broadcast, manage and schedule important dates, details and events so your employees have no reason to miss that special occasion. We have some very interesting things in the pipeline. Please contact info@sweetlets.com to find out more. We are always keen to hear from you. Please tell us your ideas or ask any questions you have on your mind. We will certainly help you as best as we can or point you in the right direction. Please contact our team at support@sweetlets.com or call us at +49 89 21 54 77 50 - 0 And no, we are not afraid of criticism or negative feedback. The only way we can make our software better is by listening to you, the user. We firmly believe in our client's feedback and our business relies on it. Most feature enhancements in our products are based on actual client comments and requests. If you are missing something, please just let us know! Pricing for Events Calendar is simply based on the total number of named users within your SAP Portal. Purchase consists of a one-time license fee along with a support fee paid annually.